"It's a distraction," Cox said, according to Talking Points Memo. “There was some confusion, we apologize, again, for any confusion that that post caused." The controversial and surprising NRA statement appeared after pro-gun activists in Texas began protesting the policies of establishments – restaurants and other shops – that asked customers to stop bringing their firearms inside. Demonstrators appeared at coffee shops and fast food restaurants brandishing not only handguns, but also long guns and assault rifles. Cox said the NRA supports Texans in their desire to eliminate open carry restrictions, suggesting the only difference is in terms of tactics. 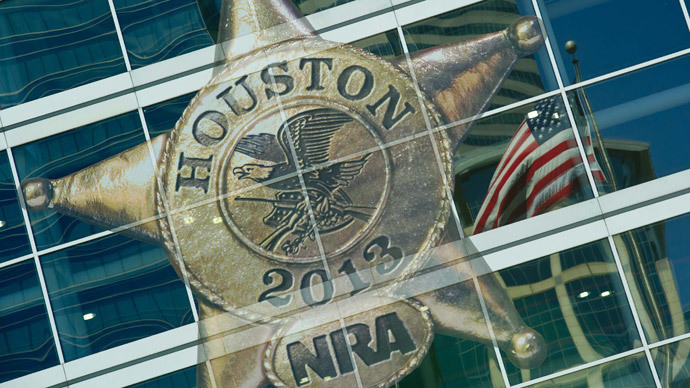 As noted by the Huffington Post, gun rights activists, including Open Carry Texas, immediately fired back at the NRA and accused the organization of hypocrisy.